This recipe is quick and easy to make and is loved by my husband, daughters, and friends. I use my homemade yogurt in this recipe, but you can use plain yogurt or even sour cream if you desire. This layered bean dip is quick and easy to make and is a fun and healthy addition to your Cinco De Mayo menu. Place refined beans in the bottom of a glass dish. Next, mix together the yogurt and taco seasoning and place that mixture on top of the refried beans. Next you will add the guacamole – if you want to make your own, just mash together 1 avocado with a tsp of lemon juice and salt. Now it is time to add the iceberg lettuce layer. Add the roma tomatoes, olives and green onions. 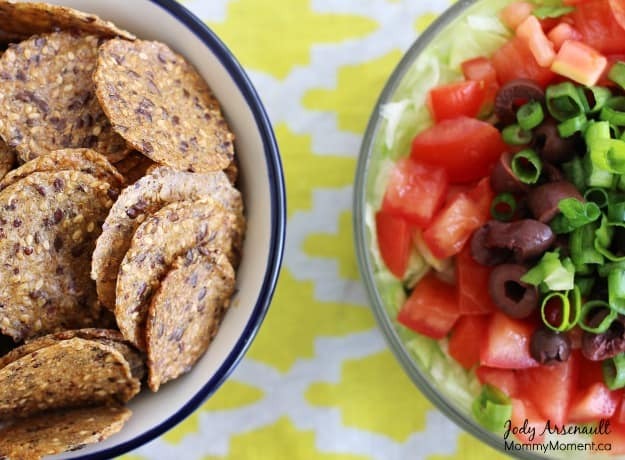 We like to serve this layered bean dip with Mary’s Organic Crackers, but corn chips are also a popular side dish. Cinco De Mayo (Spanish for “fifth of May”) is a celebration held on May 5. This date is observed in Canada and the United States as a celebration of Mexican heritage and pride. 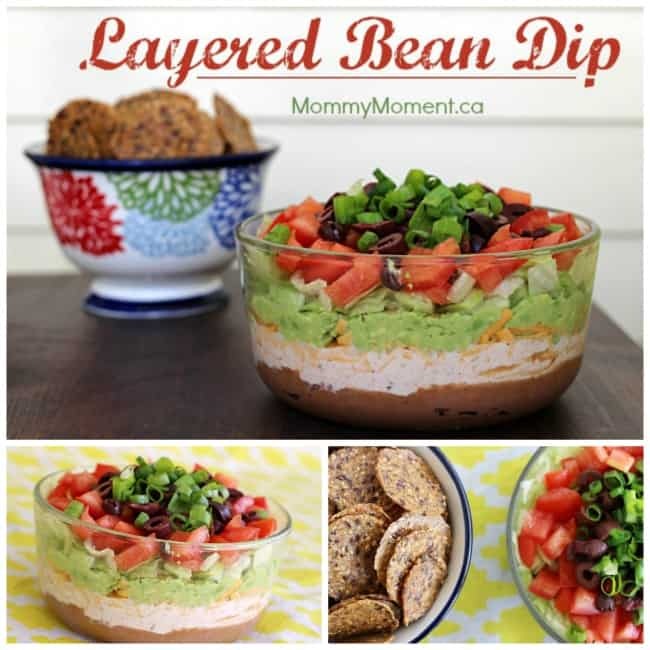 I love layered bean dip!! And the funny thing is that I have never made it at home, and I really should! Your recipe looks so good! Yum looks delicious! This looks perfect to bring to a party. Oooh this looks so good! I love guacamole and refried beans 🙂 This is the perfect summer dip! THIS is what I need to have today…all to myself! Well, I might share. Looks great and you’ve inspired me. I’m on a mission to make this, with maybe a little variation (I’m not a fan of yogurt). This would probably be my most perfect snack! This looks like a great idea to bring to a picnic or BBQ this summer! 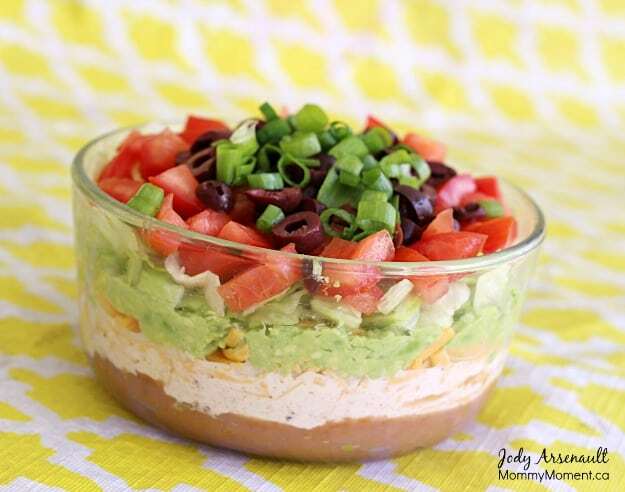 Layered dip is so pretty…this looks delicious Jody and one of my favourites. it looks so so soooo good. Oh man, this looks so good Jody 🙂 Love dips that are actually somewhat healthy too! This recipe looks delicious! I love Mexican food so this recipe is right up my alley! This looks so incredibly delish! I love everything Mexican! Will have to give this a try. I love bean dips! This would be perfect for entertaining on bringing on a picnic! Thanks for sharing! This recipe looks great, and perfect timing as I am having a Fiesta themed party for my sister next week! 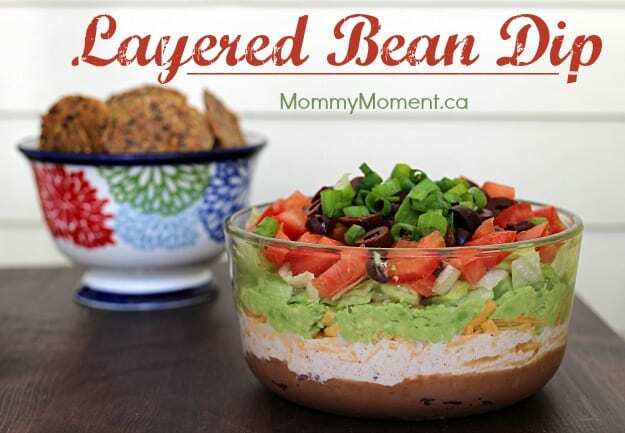 Your Layered Bean Dip looks wonderful. It’s a colorful snack and healthy too. Thanks for sharing. This looks amazing! I think this is what I will bring to the Family reunion. I know it will be a hit. Thanks for the inspiration. This dip is delicious and easy to make. I would love to make this dip for my family.They would love to have this when we all get together.It looks so sublime!! My sister is making this dip today for our party can’t wait to try it !